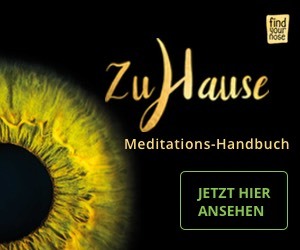 Spirituelle Dokumentation über den ungewöhnlichen Weg das tibetischen Meisters Chogyam Trungpa. Crazy Wisdom bedeutet so etwas wie ‚heilige Verrücktheit‘ und wird auf bestimmte spirituelle Experten angewandt, die sich in einer unkonventionellen, unverschämten oder unerwarteten Art verhalten. Crazy Wisdom explores this through the story of Chögyam Trungpa, the brilliant „bad boy of Buddhism“, who was pivotal in bringing Tibetan Buddhism to the West. Trungpa shattered our preconceived notions about how an enlightened teacher should behave. Born in Tibet, recognized as an exceptional reincarnate lama and trained in the rigorous monastic tradition, Trungpa fled his homeland during the Chinese Communist invasion. In Britain, realizing a cultural gap prevented his students from any deep understanding of Buddhism, he renounced his vows, eloped with a sixteen year-old, and lived as a westerner. In the U.S., he openly drank alcohol and had intimate relations with students. Was this crazy wisdom?